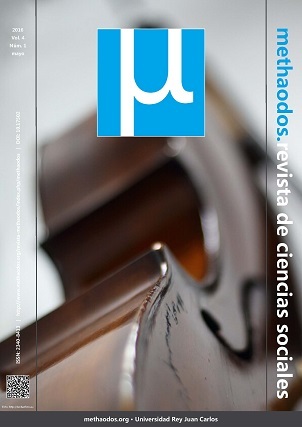 It accept submissions for review and possible publication in the monograph “Sociology of Music” until 29 February, 2016. To participate in the volume it will be necessary to previusly sumit an abstract with the proposal, to the coordiator of the monograph, Jaime Hormigos Ruíz before September 30, 2015. The volume (Vol. 4, No 1) will be published in May 2016.
methaodos.org is a research group recognized by the Rey Juan Carlos University and evaluated as excellent by the National Evaluation and Prospective Agency (ANEP).